Today1, Protestantism turns 500. And this month, we’ve been reflecting on this anniversary here at O&H in multiple ways—straight history, historiographical criticism, theological critique, as well as what the Orthodox can appreciate about and learn from Protestants. The piece that thus far has probably come closest, however, to addressing what it seems to me is the core question of the Reformation is Fr. Stephen De Young’s “The True Church and the American Church: How Protestant Ecclesiology Got Here.” In that piece, he shows us exactly what he says—how Protestantism went from having a sense that there was one, true Church to what we now have today. I very much recommend reading it. In this piece today, I would like to analyze where Protestantism is now regarding this question in terms of a recent attempt to speak for all or many Protestants. I sometimes hear people in both Orthodoxy and Roman Catholicism refer to “the Protestant church” (sic), and that expression always sends up red flags in my head, usually because it’s then followed by some generalization that doesn’t universally apply or even applies only to some minority of Protestants. 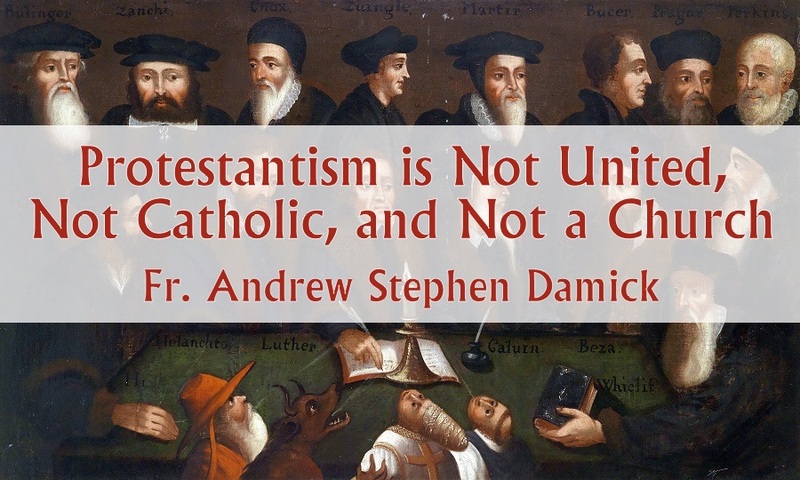 It is probably hard to hold in your head all the differences between Protestants (probably especially if you’re not interested in learning about them). Yet even for those who know better, there is still this commonplace way of speaking. The “Reforming Catholic Confession,” released today, aims to demonstrate that—despite “denominationalism”—Protestants are remarkably unified. As I read about that, it occurred to me that here was a useful moment to discuss what really is the biggest problem with Protestantism—it simply is not a Church. And because it is not a Church, it is neither unified nor [C/c]atholic (that is, with neither a big nor small C). We’ll start with the question of unity. The authors of the confession here can wistfully turn toward an early Reformation ideal of Catholic unity under canonical authority, but they don’t actually insist on returning to one anywhere in their confession. There is literally no call for that anywhere in the confession itself nor in its accompanying explanation. We do not intend the present statement to replace the confessional statements of the various confessional traditions and churches here represented but rather to express our shared theological identity as mere Protestants through our common testimony to the triune God of the gospel (we are catholic) and the gospel of the triune God (we are still reforming – constantly praying and working to ensure that our faith conforms to the Word of God). This Christ-centered consensus is a concrete gesture of the unity we already enjoy as members of Christ’s one church. What we offer is not a harmony of Protestant confessions, or an attempt to discover our lowest common doctrinal denominator, much less a charter for a new denominational entity or ecumenical organization. Rather, our statement aims at displaying an interdenominational unity in the essentials of the faith and agreement that the Word of God alone has final jurisdiction – hence “mere” (focused on the essentials) “Protestant” (founded on the Bible). We primarily see ourselves not as Protestants defining themselves against others but rather as mere Protestant Christians who affirm the common spiritual tradition to which creedal Christianity bears eloquent witness. Some of us have been further “denominated” into particular Protestant family traditions and others not. Yet we all value the Reformation solas, not simply because they distinguish us from Roman Catholic or Eastern Orthodox Christians, but rather because they are salient reminders to the whole church that God alone saves in Christ alone through faith alone. So, we’re not drawing the line. But… we are drawing the line. “I appeal to you, brothers, by the name of our Lord Jesus Christ, that there be no divisions among you, but that you be united in the same mind and the same judgment” (1 Cor. 1:10). The Protestant Reformers were not indifferent to this appeal. Several attempts were made to reconcile differences over interpretations of Scripture, for instance regarding baptism and the Lord’s Supper. In response to the Pauline injunction, and in the spirit of the Protestant Reformers at their best, then, we humbly set forth our reforming catholic confession: reforming, because we do not pretend to have captured all biblical truth; catholic, because we stand in continuity with the consensus tradition of the ancient and medieval church even as we contribute to it; and humbly, because we know that apart from the light, life, and love of God’s Word, and the grace of God’s Spirit, we will divide Christ even further. This paragraph alone illustrates the problem. It first acknowledges that the Reformers themselves couldn’t find unity, and then it sets forth its own confession, which is explicitly “reforming, because we do not pretend to have captured all biblical truth.” Does that mean that what is needed for salvation is not really yet known? That there is continuing revelation? What about the problems of even determining the canon which is the source for that biblical truth? This is a huge chasm yawning along the road to unity, and this confession’s official explanation just burned whatever might have bridged it. And what about the Zwinglian vs. Lutheran vs. Calvinist readings of sacramental theology? This confession basically passes over these problems in silence, but isn’t it pretty important whether or not one really is eating and drinking the body and blood of Christ or just a symbol thereof? Or what about baptismal regeneration? We could make a big list here of doctrines on which Protestants are not united, and perhaps the authors do not wish to fight about these things any more. But they were huge questions for the first Reformers and for many of their heirs. Why is unity on them no longer important? This confession, despite its similarity to those creeds and to historical Reformation confessions, is actually of that modern genre of Protestantism, the “agreed statement.” Agreed statements are fine, of course, if you’re willing to accept the limitations of what they’re actually for. They basically say, “Hey, we agree on the following things.” But agreeing on things is not the same thing as doctrinal unity, and it definitely does not make for a common canonical order. They long for “ever greater displays of our substantial unity in years to come,” but they neither require “substantial unity” nor even suggest a plan for it. I join with the authors in lamenting the disunity of Protestantism, but I am amazed that they’re not only not willing to suggest a path toward unity (even among Protestants) but continue to affirm that which disunifies Protestants to begin with, that they do not really believe in a catholic Christian faith. This is the point where the confession really falters. The claim here is not only that these Protestants are catholic but that they are indeed more catholic than Rome or the Orthodox. Catholic is used but once (for the church) in the confession proper, but it’s all over the official explanation. Oddly, it is never clearly defined. Yet it seems that it is used to mean something like “universal” (“on behalf of the whole church”) or even approaching the Orthodox understanding of “wholeness” (“to bear united witness to the gospel of Jesus Christ and to its length, depth, breadth, and width – in a word, its catholicity”). From the Orthodox point of view, however, catholicity is about the wholeness of the Christian life and faith within the one Church, and that wholeness is expressed as Holy Tradition, which includes, flows from, interprets and even established the Scriptures. One of the basic problems of the Reformation is that Scripture is held to be the highest authority, yet without defining what authority it is that interprets it. The various kinds of confessionalism attempt to overcome this deficiency by establishing norms for scriptural interpretation, but their adherents still appeal to Scripture as though it were simply obvious to any who read it. This present confession does exactly the same thing. While we repudiate the “traditions of men” (Mark 7:8) – teachings that conflict with or have no clear basis in Scripture – we affirm tradition insofar as it refers to the church’s continuous attention to and deepening understanding of the apostolic teaching through time and across space. Prior to modern Protestant ecclesiology, the Church (however perceived) could actually tell you if you were wrong about the Bible. But in this vision, who can tell you that? You could theoretically reject Nicea itself (which predates the canon of the New Testament) if it is found not to be true to Scripture, and this despite the fact that those who canonized the Scripture were already adherents of the Nicene creed and no doubt had that in mind as they produced their canonical lists. Sola scriptura is the principle being expressed here, and it fails the catholicity test. Despite very high views of the authority of Scripture, the Church of the Ecumenical Councils never holds Scripture up as being essentially self-interpreting nor as an exclusive record of all that is required of Christians. But because Protestants hold to sola scriptura, they (usually unwittingly, these days) end up jettisoning much of what was held to be the catholic faith of the early Church, including (among other things) eucharistic doctrine, church polity and (not least important here) a substantial unity. As such, both Protestantism in general and this confession in particular fail to realize the very thing it is claiming to represent—the historic, catholic Christian faith. The best we have here is the observation that most of what the confession affirms is in agreement with much of what is in the historic creeds. It is, again, basically just an agreed statement. The Church is “ruled by Scripture,” but who does the ruling? Doesn’t the Church itself do any ruling? The Scripture says it does (again, however you want to interpret it), but we get no vision of what that looks like here. The Scriptural language about Christ Himself being a member of the Church (as her head) is also simply absent here. One gets the sense that Christ is not a member of the Church, especially since it is “ruled by Scripture.” Is even Jesus below the Bible? (Surely not, but one could get that impression if this logic is followed.) The allergy to giving Church leaders or tradition any binding, authoritative role makes for a very muddled ecclesiology. I am almost tempted to conclude that this confession really includes no ecclesiology. And even in the most existential sense, Protestants do not live together in worship communities that cross their divides, do not confess a common faith and do not have a stake in each other’s fortunes. Protestantism cannot be a Church because it is not a community. It is not even a federation of its communities. The Church is therefore reduced to a group of like-minded believers. I was glad to see that they included some specific things that those like-minded believers ought to be doing together, but it’s still little more than people who come together on the basis of, well, an agreed statement. None of this is to erase or problematize any of the significant work I’ve done both in writing and in recordings to express my appreciation for the faith I have seen and experienced among Protestant Christians of many stripes. I continue to love them, and I continue to want to explore what they believe and how they pray and worship. And this especially is not to lay down any claim about the eternal destiny of any Protestant believer. If I am truly trying to work out my own salvation in fear and trembling, how can I claim to know whether any other person I meet is being or will be saved? I remain committed to what I see as the true ecumenism, which is to have earnest discussion, especially between friends, about both similarities and differences, with neither compromise nor polemic. It is also, as Fr. Georges Florovsky once emphasized, to keep in mind that, in the phrase separated brethren, both separated and brethren are equally important and true. It is on that basis, therefore, that I submit to my brethren some of what continues to keep us separated. I pray for our true unity in the Orthodox Catholic Christian faith. Well, not accounting for calendar changes. This was true for both Orthodox East and Roman Catholic West even after the Great Schism. Both saw themselves as the Church. One does not have to believe in papal supremacy in order to affirm a single canonical order to which all at least ought to belong. And one also has to conclude that the authors may not have read all the decisions of those councils, which go far beyond their specific professions of faith. What would they do, for instance, with Canon 16 of Nicea, which forbids clergy from entering the territory of a bishop not their own? It gets even more interesting with the other councils. Thank you, Fr. Andrew, for your analysis! I very much appreciate your straightforwardness and honesty. Thank you, Father. Very good explanation. Your observations are very accurate Father. One of the things that drove me to seek the Truth and convert to Orthodoxy was this very disunity. Not only do we have a huge number of denominations and independent churches, I found it difficult to find two Protestants that agreed on substantial parts of Christian Doctrine. I also discovered that attendees at one’s church did not necessarily ascribe to the beliefs of that church. I was an Associate Pastor in the Church of the Nazarene and I found members of our congregation that where 3 1/2 point Calvinists and proud to attend our church and yet proud to disagree. I found one f the founding members did not even believe in the Trinity. This is chaos. Our prayer “Oh Heavenly King” entitles the Holy Spirit as the Spirit of Truth as does the Lord Himself say so. It seems to me that the spirit of chaos reigns supreme and there is no way for the “Protestant church” to ever be a Church because they have no spiritual authority. Recently I was discussing theology with a few Presbyterian friends who attend a PCA church. I was approaching the discussion with the assumption that they adhered to beliefs of the Westminster Confession. I was told they no longer accepted their own Confession as a church. Statements and Confessions of Faith have by and large been discarded by denominations and the independents vary so widely in their beliefs that it is impossible to tell what any one church or individual really believes. I have also discovered that they also have personal definitions for theological words and concepts that totally alter their meaning in statements even though they may sound like they agree. My father told me years ago that whenever there has been a revolution against a government or a church that the spirit of revolution dies hard and constant change and upheaval becomes the order of the day for centuries. The current state of affairs in Protestantism reflects this wisdom. Thank you for the summary in this post. Nicholas, I can relate to you as someone who used to be a Calvinist in dealing with the PCA. The PCA in my opinion although conservative is losing it’s conservative roots. It wouldn’t be surprising to me that later down the road there will be split offs from the PCA because of all divisions within it. The PCA although Calvinistic in it’s roots and traditions is becoming more embracive of broad evangelicalism infact within the denomination a church can choose whether or not to include Presbyterian in their church name. In other words, they can appear nondenominational even though they are within a denomination. In fact a lot of protestant denominations are adopting this method justifying it in the name of being “seeker friendly” or less “off-putting” to those who don’t associate or go to church. This stems from the american evangelical individualistic attitude that denominations are just mere labels instead of confessions. That is why as you noted that the people who you were talking to that attend to a PCA church don’t adhere to their own statements and confession of faith. Infact, to be a member of the PCA you don’t have to subscribe to the Westminster Confession of Faith talk about real confusion here which is why it creates what I like to call the protestant angst. The protestant angst is basically spiritual turmoil or confusion in which I went through that enables you to see the protestant inconsistencies within their own theology and practise. This ultimately led me to the Orthodox Church where I have found the wholeness of faith, consistency , and sanity of mind. It was very helpful when I read Fredricka Green’s book called Facing East in which she described that to be Orthodox is to place yourself under the Church and it’s authority, doctrines, practices, and disciplines. What I appreciate so much about the Orthodox Church that it’s not an individualistic just between me and Jesus or just me and my bible out in the woods kind of mentality as you find so much in protestantism but rather a community that is surrounded by a great cloud of witnesses of the Apostles, Saints,Martyrs, Aesthetics, and Church Fathers. I did not know the inside story of the Presbyterian Church but I can see all the symptoms. I left a pastorate from a denomination because of the chaos in beliefs. It was very similar to what you describe in the PCA. Faith without a confession is easily and readily perverted which is the fundamental reason for the chaos in Protestantism. I see the stand alone Independent Church as the outcome and symptom of this malaise. I noticed that we had a 90% turn over every year in my Protestant Church as people moved on to better bands, better preaching (of what they wanted to hear) and better programs. They were not committed to any confession of faith and never found more than a few who actually believed the same things. I got spoken to by the Senior Pastor for trying to get people to adhere to the confession of the Denomination. It is a sad tale to rell. Thank you Father…well done indeed. Thank you for the insightful analysis, Father. For months up to today I was trying to write some kind of “Orthodox response” to the Reformation to share with my Protestant friends, but ultimately decided not to, both because I realized continuing to argue against it is detrimental to my growth in Orthodoxy, and because I figured your blog would have a much better thought-out and more charitable response than I could come up with anyway. I was not disappointed. You are a great example for converts like myself of how to approach our old faith in a spirit of truth and love. Father, this entire series has been enlightening and helpful. This post is a strong conclusion(?). I have been on a long journey (35 years) of seeking God, and finally found home in the Orthodox Church just over a year ago. This series has helped me to see what my “in the back of my head, nagging, can’t put my finger on it” difficulties were with independent and Protestant groups, though I do believe that each gave me insight to bring me to Orthodoxy. Thank you for all you do to point all those who are seeking, firstly to Christ, and hopefully to Orthodoxy. Many thanks for this, Father! I came to Orthodoxy in part because, as a Protestant, I had studied the Scriptures extensively and essentially found myself on my own island in my beliefs. The irony of recognizing the existence of the Church and the fact that no one in it agreed on anything was not lost on me. I am thankful that God led me into Orthodoxy and away from myself. Glory to Him! I consider, at root, one of the main problems to be the adherence to CS Lewis’ (and it may predate him) concept of “mere” Christianity, what the authors call “the essentials.” If you believe that the Church is filled with folks, lay and clergy alike, who are always trying to add “traditions of men” because they naturally “suppress the truth in unrighteousness,” then you need to know what is “essential,” what is “helpful” (for now), and what from the past must be jettisoned (as it has become, or maybe always was, contrary to the Gospel). Semper Reformanda becomes Semper Revolution, which makes for unsteady believers. At least, though, if we can get the “mere” stuff (sola Scriptura and, maybe, the Creeds that seem to affirm Protestant distinctives? ), we can be stable enough to constantly critique the rest of the things. Maybe. You make a good point about modern Protestants and their indifference to “non-essentials”, but it’s a mistake to attribute that idea to C.S. Lewis or to connect it with his term “mere Christianity”. It is possible that some have used his term in the way you describe, but he himself (and most people today that I have found borrowing his term) have in mind something very different. Lewis explains what he means by “mere Christianity” in the preface to his book by that name, and he does so by mean of an analogy: Christianity is like a building with a hallway and many rooms. He does say that getting into the building (becoming a Christian) is the most important thing at first, but he also insists that after deciding to be a Christian one mustn’t stay in the hallway, but should seek for the right room (keep in mind, he is speaking primarily to secular readers whom he hopes to win over to Christ). Indeed, far from enabling apathy toward specific dogma, Lewis goes on to suggest that those who are most fervent and devout the different rooms (i.e. disparate Christian traditions) have more in common with one another actually than with those who remain in the hallway of doctrinal complacency. Thank you Fr. Andrew. I appreciate your analysis. “God alone saves in Christ alone through faith alone…” under the aegis of Sola Scriptura, Scripture alone. Why are the Orthodox even interested in the Reformation. It was not about you, it did not involve you. Rather it was a matter in the West, among those with whom you were then and now are still divided. Where is the unity in Orthodoxy? Isn’t it past time the Orthodox had a reformation of its own? You could lighten the load for a lot of people if you could somehow find your way back to the apostolic faith. Of course reformation is not possible where apostolic Christianity is relativized by tradition and culture. Why this constant need to bash protestants and evangelicals? They, for the most part, have never heard of you but you are obsessed with them. Is it envy? Is it jealousy? Well, many of us live in the West. No, we don’t need a reformation. We have a unity of belief and communion. What we could use, all of us, is a little more Christ Likeness, but knowing we need it is why we are part of the Church to begin with, so the apparent disunity arising from our humanness will continue. No, our reason for wanting to understand protestantism (and Western Christianity in General) is because, cradle or convert, Western or Eastern, we live in a world that was mostly conquered by, and greatly formed by, Protestant and Roman Catholic nations. We need to understand how this has shaped our world and our societies. Why are the Orthodox even interested in the Reformation? As Orthodoxy is, like it or not, now a presence in the West and, as many of us come from a Protestant background, it is very much a matter of interest. If we are concerned for Truth, we have a legitimate role to play in critiquing the Reformation and its consequences for Western Christianity. Where is the unity in Orthodoxy? Where, specifically, is the disunity? Should we be seeking unity with the non-Chalcedonian Churches? Absolutely! Do we have disagreements between the Patriarchates over certain matters? Yes, but these disagreements have not led to schism and likely will not. They are part of the warp and woof of intramural dialogue and are not matters over which Orthodox unity stands or falls. Just because there are canonical structures that owe their existence to the history of the Orthodox Church in the East, it doesn’t amount to differences in theology or practice. The American experience is a function of immigration from Eastern Europe and the Middle East. At some point, the canonical arrangements will likely be rationalized, but nothing today speaks of division or disunity. Isn’t it past time the Orthodox had a reformation of its own? What would we reform? We follow a common set of liturgies. We adhere to common a theological understanding. We are, if you were to visit a few parishes of varying jurisdictions, demonstrably consistent in belief and practice. We have, like all organisms involving human beings, our issues, but we see no need for radical surgery. You could lighten the load for a lot of people if you could somehow find your way back to the apostolic faith. I’m not certain I understand what heavy load Orthodoxy places on anyone that isn’t part of the Christian life, the steep and narrow way. Should we lessen the demands for holiness of life, for prayer, for spiritual disciplines? The Christian life is not intended to be easy. It is a lifelong struggle against the world, the flesh, and the devil. And against the passions inherent in our fallen human nature. We see the Christian life, for all the faithful, to be in many senses ascetic, but that is to take up the cross and to follow our Lord, Savior, and King Jesus Christ. At one time this would have been considered normative. Regarding the Apostolic Faith, to what extent and in what manner is Orthodoxy divergent? Our Holy Tradition is in continuity with the earliest Church and embraces everything that Christianity considered normative during its formative period. Whether in liturgy or praxis, all that we do and all that we believe has clear roots within the earliest Christian centuries. If anything, we could legitimately be termed “resistant to change” because we are. That is our strength. Of course reformation is not possible where apostolic Christianity is relativized by tradition and culture. I’m uncertain what you’re intending to convey. Tradition in the Orthodox Church is by no means relativized to culture. The Orthodox Church has always accommodated to the linguistic milieu of its adherents, but that’s no sin. As to following the winds of change; this has not occurred, which is why we’re often accused of being arch conservatives. Again, reformation is only required where there is an evident deviation from that which has always been believed in every place. If you have examples, we’ll certainly address them. Why this constant need to bash protestants and evangelicals? Critique is not “bashing”. We are well within our rights, as do evangelicals in return, to point out the errors of another confession. Except that in our case, we have many former “insiders”. We speak from first-hand knowledge, which is something few evangelicals can claim. They, for the most part, have never heard of you but you are obsessed with them. Is it envy? Is it jealousy? We are neither obsessed with Protestants, nor envious, nor jealous of them. We view those who take the name of Christ as brothers and sisters who have not yet seen the light in all its majesty. We desire the unity of all in Christ. But if Truth is to have any meaning we must be Truth’s advocate. Where we see error, we are bound to speak. But only so as to advocate for the fullness of the life in Christ. Our place is not to condemn, but to bring the healing and wholeness of the Gospel, which is our commandment from the King of kings and Lord of lords. Peter! Well-said. I am an Orthodox catechumen… and a personal friend of our dialogue partner with whom you engaged in the above. I shall be revisiting your irenic but firm responses with him. Please join me in praying for his fully coming into the Church. Nate, I appreciate your prayers. However, as far as me “fully coming into the Church”, I’m already there. I realize that the Orthodox believe that we who are orthodox are missing something, that we lack “fullness” and the only way to attain this fullness is to “convert” to Orthodoxy. The reality is that the Orthodox do not possess anything that is not also mine. Admittedly, it is through my exposure to Orthodoxy that I have come to a fuller understanding of what is the inheritance of every one who is in Christ. Nevertheless, that fuller understanding does not compel me to become Orthodox. It does compel me to remain in fellowship with my Christian brothers and sisters who make the Orthodox expression of the body of Christ their home. The reality is that the Orthodox do not possess anything that is not also mine. It’s fine to assert that, but of course we wouldn’t agree. Having inherited schism does indeed deprive one of something — communion in succession from the apostles without schism and heresy. Being orthodox really requires being Orthodox. Why? Because it’s not only about what you believe and practice but rather about being in communion. You mention “fellowship” with the Orthodox, but what does that mean? It certainly doesn’t mean being in communion. Our separation is a real tragedy, and it doesn’t make any sense not to try to overcome it in the fullness of the Orthodox faith. Schism is real. We can’t wish it away by saying that we’re really the same but not actually being in communion. If we really do have the same faith, why remain separate? For us, it is like saying that you are having Thanksgiving dinner with us but not actually coming to dinner. And that’s because the Orthodox Church isn’t an “expression” of the Body of Christ. It simply is the Body of Christ. I know you disagree on all this, but it doesn’t really help just to assert it without making the case that schism ought to be normalized. We all need truth to work alongside the Bread from Heaven. Jesus told the devil that man must not live by bread alone. The truth is an integral part of our journey. We are called to live by that truth. The problem with Protestantism is the lack of the Bread of Heaven meaning this lack of the Sacramental Presence of Christ in Holy Communion. It is vitally important we have both truth (catechism) and the reception of the living Christ. The Orthodox Church tries to live by both sources as does the Catholic Church. This means we are called to witness and this involves us to be with our Protestant brethren and to our Catholic brethren. Protestantism does involve us because we are all brothers and sisters but we do not all think the same and the truths differ. We need to make contacts in order for us to better understand each other and hopefully to find a solution to expound on the truth we need to follow. Thanks Father for your post. I have purchased your book to better understand our differences. I am an Eastern Orthodox who has better knowledge about the Catholic Church but very limited knowledge on the Protestant Churches. Your book will be a great help. Brian just to let you know the Orthodox Church has a history of persecution unheard of in these past centuries and by studying our history it is a miracle the Orthodox Church has survived it. We did not need a reformation because we had other things to deal with. Perhaps now in these present times we will see the Orthodox Church freer to witness to the Gospel and be more present to our brethren. Father – that was a well-aimed wrecking ball at an ill-conceived document. Thank you as always for your clarity and precision. As one of the legions of former Protestants now happily within the fold of Orthodoxy, I have been enabled to see more clearly than when I converted 5 years ago where the shortcomings of Protestantism lie. A protest movement tends to define itself by what it is not, rather than what it is. It reacts, rather than originates, and is therefore apt to be haphazard and atomistic in its agenda(s), rather than holistic. Perhaps if the Magisterial Reformers had been philosophers, rather than jurists, we might have had a different outcome from 500 years of chaos and confusion, but that’s just my counterfactual hunch. It’s not altogether accurate to characterize Protestantism as being uninterested in authority, per se. The problem is, essentially, that the locus of authority was transferred from the magisterium of the Catholic Church to the rhetorically high-sounding but philosophically unmoored “solas,” none of which is self-defining, let alone self-interpreting. Couple that with a commitment to the right of individual judgment and you have a recipe for precisely the ecclesiological and hermeneutical chaos we have seen play out within Protestantism over the centuries. Here’s another counterfactual gambit: Had the Magisterial Reformers known much more about the Orthodox Church and the place of Holy Tradition within her life than they evidently did, that knowledge might (just might) have brought greater focus to ecclesiology within their thinking and emphasized that tradition is not necessarily apt to become corrupted and compromised over time. But we’ll never know. This we do know. “By Reaction Alone” has produced bad theology with deleterious spiritual consequences. American Protestants don’t seem to remember that and talk of Orthodoxy being Eastern and foreign in assumptions. in Britain. It is and was a Western Church. I expect that in N America the school curriculum does not teach much between the end of the “Roman Empire” and 1066 Norman Invasion in England. They don’t know either the long history of a Christian Empire around the Mediterranean before Islam. It’s all called Dark Ages in the school texts. So no wonder they think Orthodoxy is just a version of the Church for the Eastern Europeans and the Russians. All I’ll say is that Americans- Protestant, Catholic and Orthodox love speaking beyond their means. This article builds a strawman, by yet another American. It’s a unique cultural problem that has infected the whole of Christ’s baptized visible church. A shoddy article attacking on a shoddy article. As someone with an Australian email address who is therefore untouched by this American problem, can you give us some specific examples? I generally enjoy the Christianese double-talk for “Protestants are eternally damned, but if I say that I’ll turn off Protestants”. Don’t get me wrong, Protestants and Latins do it as well about other groups. However, as someone who’s a bit interested in Orthodoxy, but has little respect for faux internet diplomacy, I’d prefer to hear the unvarnished position. If anyone wishes to provide that, I am more than willing to hear. What in the article suggests to you that I actually view Protestants as eternally damned despite the fact that I say I don’t know their fate? Fr. Andrew, thank you for applying. Eternal fates seems a strange topic to bring up if the point is only to say that one does not know the eternal fate of another. Who of us knows the eternal fate of any individual? It makes much more sense as an oblique warning to a group, though: the deficiencies of the Protestant confession makes eternal damnation likely, though one also must be humble enough not to claim to know the mind of God and, thus, refrain from claiming eternal damnation is the fate of every individual Protestant. So, it seems to be a veiled warning. But, in a similar vein, I must be humble enough to refrain from claiming that *absolutely* is what you meant, because I don’t know you as an individual, whereas Mike does, so I will defer to him. If I may pivot to a different subject briefly, I am interested in Orthodoxy and was wondering where would be a good place to start with understanding it. Thanks again for the response. Eternal fates seems a strange topic to bring up if the point is only to say that one does not know the eternal fate of another. The point was to give a caveat relating to the rest of the post. Unfortunately, a lot of folks take critique on theological matters as being about laying down a sentence on someone else’s eternal fate, especially where ecclesiology is concerned. I’m not issuing any warnings. As for where to start exploring Orthodoxy, your best avenue is to connect in person with a local Orthodox parish and get to know the local pastor and ask for his help. There are of course books and such, as well, but in-person is best. Fr. Andrew, thanks for replying once more. Unfortunately, there is no local Orthodox parish where I am right now. Plus, I would prefer to have a rudimentary knowledge before I engage someone in person; that way there at least is a shared baseline from which to begin. So any help is greatly appreciated. Thanks again for taking the time to talk with me. Fr. A and I have been good friends for many years and I cohost, with him, a podcast on Ancient Faith Radio. I’m also a mainline Protestant pastor. When he wrote what I quoted above that’s what he means. It isn’t double talk and he’s not being passive aggressive, he’s consistently made this point for years in both private and in public. If you want unvarnished Orthodox internet opinion on eternal destiny I could refer you to some specific places online but that type of conversation is usually thoughtless and, at times, toxic. Inasmuch as the earthly and visible Church is not the fullness and completeness of the whole Church which the Lord has appointed to appear at the final judgment of all creation, she acts and knows only within her own limits; and (according to the words of Paul the Apostle, to the Corinthians, 1 Cor. 5. 12) does not judge the rest of mankind, and only looks upon those as excluded, that is to say, not belonging to her, who exclude themselves. The rest of mankind, whether alien from the Church, or united to her by ties which God has not willed to reveal to her, she leaves to the judgment of the great day. This does not preclude critique or correction, which is very necessary in our world but does need to be done in love. “We know where the Church is but we cannot be sure where it is not.” Humility and love are necessities in the life of the Church. 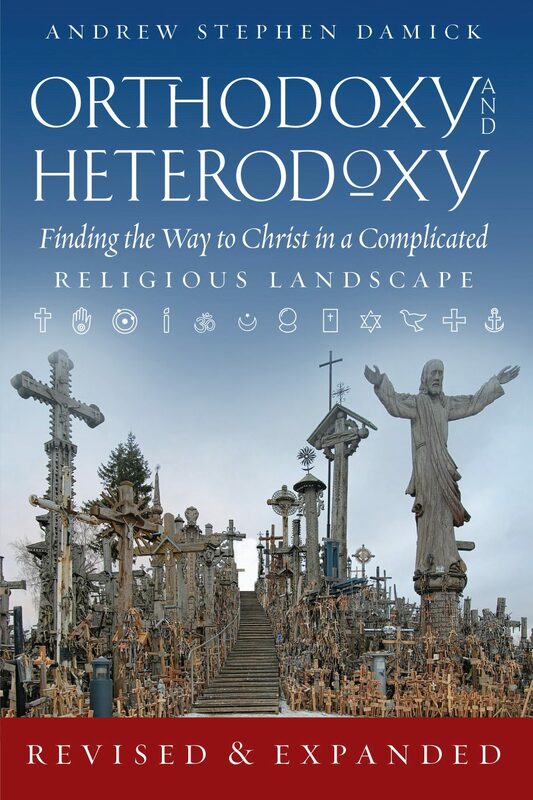 You will find a great deal of paradox in many Orthodox positions; mystery (“that which God has not given us to know” as opposed to “that which must be sought out, tested, and understood”) permeates Orthodoxy. This should not be too surprising, given we seek full communion with God, which is an unattainable goal on our own. Orthodoxy has very few “unvarnished positions” but there are enough that a lifetime of work is needed to live them. May God bless your journey. I thought it was a great article, Father Andrew. I used to be a LCMS Lutheran, and now I see what happened 500 years ago as more of a revolution instead of a reformation. Martin Luther did not reform the Catholic Church, and it opened a pandora’s box to the thousands of Christian denominations that we have today. Now anyone with a Bible and rented room can start a church. Thank you for writing this. I assume you think it’s a bad thing that anyone with a Bible and a rented room can start a church. How would you propose to stop this? Do you really believe the Holy Spirit should be quenched? I’m not Steve, but I don’t think anyone is proposing to “stop” people from starting their own churches based on their private interpretations, but of course the practice can be critiqued. And regarding whether critiquing such practices quenches the Holy Spirit, well, I think it would first have to be established that it is in fact the Holy Spirit that is inspiring people to schism and heresy. As you may imagine, I don’t think it is. In fact, I’d regard individualistic ecclesiology as being the quenching of the Holy Spirit, which is not a spirit of confusion. This is well said, and it accounts for the position of protestantism within the church. That our communion exists in the tasting of death by our Lord, and so in communion with us, reprobate in the vanity of our hearts; is this not that we are able to discern His coming to us (i.e. acknowledging, from our own nature, that we are dead, receiving the work of Christ through faith over and above, but not without the ecumene). What is the matter but that we venture little for this communion, thinking rather to maintain the body of Christ under our own hand, not understanding the blood of Christ which sanctifies us. I have been reading your recent text on Ignatius, a Christmas gift for which I am most grateful. I wonder how Ignatius would respond to the question I presented. I don’t think he would have a problem with it at all. Isn’t this how most ancient congregations of Christians emerged in the first place? It may have taken a little persecution to get things going but certainly the permission of some hierarchy was not required. (Acts 11:19ff) Would Ignatius agree with you that someone who preaches the biblical gospel resulting in the establishment of a new Christian community is inspired by a spirit of “schism and heresy”? Perhaps Ignatius would, as did Barnabas when he observed the work of God in Antioch, acknowledge the grace of God in action. I suggest reading Ignatius fully, including the quotes from him in the book. He’s super-adamant — and I cannot understate this — that everything be done in unity with the bishop. And he’s also pretty clear that schism and heresy are really bad news. The question isn’t whether someone needs “permission,” but rather: Why would they break from the unity of the Church in order to start something else? The Church does not need to be reinvented. Why break communion? Why be disobedient? What spirit is behind that? I think Ignatius would be pretty clear that you cannot actually be preaching and living out the Biblical Gospel if you insist on doing it apart from the communion of the Church. This hypothetical man with the Bible has never heard of the Orthodox Church. There are none in his area. So he isn’t motivated to be disobedient or to break communion. Most likely he is a part of a preexisting congregation that he is in communion with and has sent him forth. When this man with the Bible preaches the biblical gospel and the fruit of that is the emergence of a new Christian community that new Christian community isn’t “something else”. It is the church. Is it an Orthodox Church? Of course not. But it is a church of Christ. It is his body. And Christ, by his promise, is present among those who gather in his name. New wine requires new wine skins. The Great Tradition, yes. Traditionalism, no. When this man with the Bible preaches the biblical gospel and the fruit of that is the emergence of a new Christian community that new Christian community isn’t “something else”. It is the church. This is exactly where we disagree. Just because you are the inheritor of schism and don’t know it doesn’t mean that you’re not the inheritor of schism. The Church simply isn’t something that can be restarted. Denominationalism is not the Church. Can you show me where someone who broke from the Apostles and their successors or who inherited that schism was, either in Scripture or in early Church history, considered to be legitimately the Church? I am Methodist and see the truth of your statement. My denomination split over slavery and will split again over orientation issues. I pray for the unity of the Eastern, Oriental Orthodox and Roman Catholic churches in my lifetime. Until the church is One.